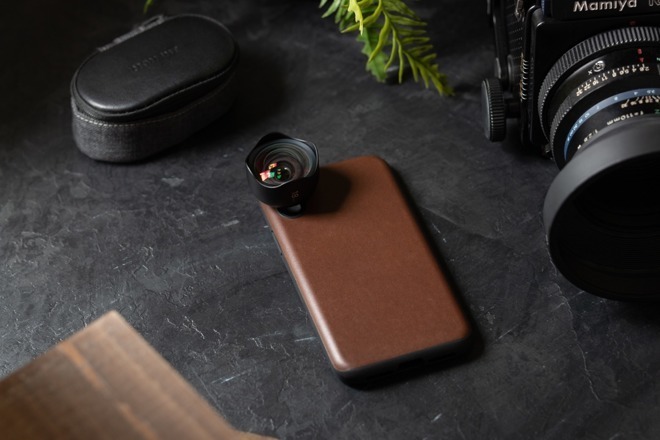 The new case, available for the iPhone X and iPhone XS, shares a design with Nomad's classic Rugged Case, but adds a lens mounting system that allows any of Moment's lenses to attach natively to the case. Lenses can be fastened over iPhone's wide angle or the telephoto shooters. When Moment's 2X telephoto lens is attached to the iPhone's telephoto lens, it provides 4X optical zoom. Alternatively, the 2X telephoto lens can be attached to sit over iPhone's wide angle lens to get 2X optical zoom on a wider aperture, affording better low light capabilities. Macro, wide angle, anamorphic, and fisheye lenses are also available. Moment itself updated its self-branded case lineup to support the newest iPhones, recently releasing an MFi-certified battery case with Lightning port and wireless charging. 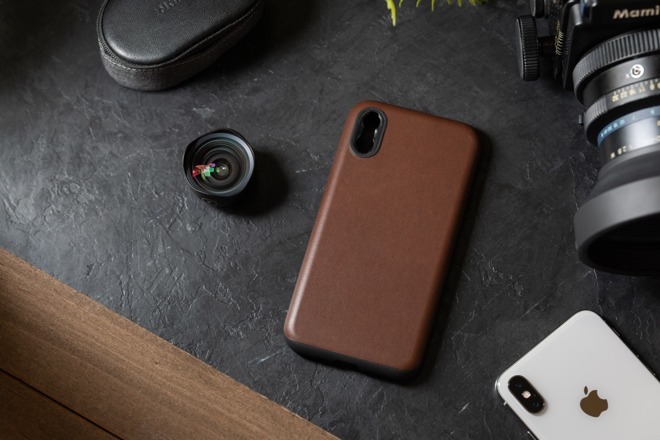 Unfortunately, like Moment's own cases, Nomad does not yet market an iPhone XS Max case. The latest Rugged Case for iPhone matches perfectly with Nomad's recently launched Rugged Case for AirPods. You can pick up Nomad's new Rugged Case with Moment lens support now for $49.95.